← What Is The Definition Of Allusion? This week’s writing prompt comes from Creative Writing Now. This prompt states to write a poem based on a bad dream that you had. Try to reproduce the sensations of the dream. Little did you all know that I suffer from terrible nightmares. The subject matter from me to choose from is actually endless, so it’s not like I had to sit and rack my brain on what my last nightmare was. One of my all-time top nightmares happened in 2010. I know this because I was working at a television production company and we were doing a show about nightmares, so I got to share this nightmare to the producers. 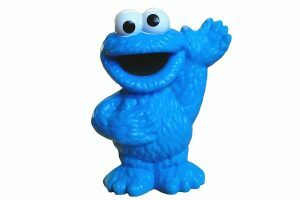 I had a dream that my Cookie Monster stuffed animal came alive and murdered my entire family and then was coming to murder me. I distinctly remember the red blood on his fur and him knocking on my bedroom door as I lied under my covers terrified for my life. That’s really all I remember from the dream itself, but I remember feeling freaked out. It’s not every day that your beloved stuffed animal from childhood has a blood lust against you. In fact, I could never look at that doll the same way again. Muddled images of death and destruction. Whatever you think I did – it’s simply not true. I love you more than them. I don’t even care that they are gone. Again, I am not the greatest poetry writer but based on the information above, I think the poem aligns itself with that and portrays the feelings that I was feeling. What do you think?